The ELECTRONIC ORDER PAD will become the tool your DSR’s (Distributor Sales Rep) value most to get their jobs done effectively and efficiently. 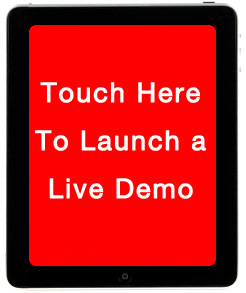 It was created to be run on a tablet computer (such as the Apple iPad 2 and Android) and is unlike anything your DSR’s have ever experienced. The large, high-resolution display allows your DSR’s to see their work like never before. It is incredibly thin and light, and provides instant-on access at the press of a button, so work is almost always at-hand. The Multi-Touch screen on the tablet is incredibly precise and responsive, which allows DSR’s to work using just their fingers or a stylus, with little need for training or support. 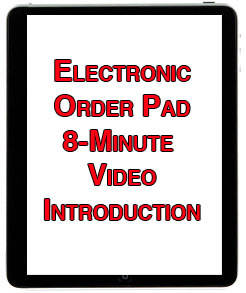 And with up to ten hours of battery life, the ELECTRONIC ORDER PAD is always ready to work whenever your DSR’s are.